(June 17): The president of debt-ridden state fund 1Malaysia Development Bhd lied in the company's latest statement yesterday when he denied saying he “saw the cash” in reference to the balance of US$1.03 billion redeemed and parked in BSI Bank Singapore, DAP said today. 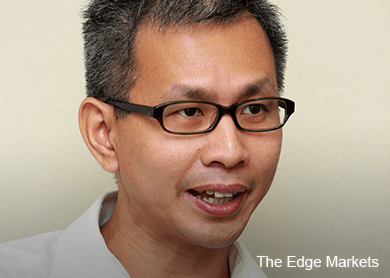 National publicity chief Tony Pua said 1MDB, in refuting the allegations made by former prime minister Tun Dr Mahathir Mohamad against the company yesterday, was now saying that Arul Kanda Kandasamy had only said he had “seen the statements” on whether the amount redeemed from Cayman Islands was in cash or assets. "It is, therefore, disingenuous for 1MDB to just quote Arul as having ‘seen the statements’ without also quoting the sentence, ‘the cash is in our accounts and in US dollars’," Pua said in a statement today. 1MDB’s statement yesterday also addressed the issue of the misunderstanding on information provided to the Ministry of Finance which required the original answer in Parliament to be amended, adding that Arul took full responsibility of the misunderstanding. In March, Prime Minister Datuk Seri Najib Razak had said that the remaining US$1.103 billion of 1MDB’s investment funds – in cash – had been transferred to its account in BSI Bank. But in a parliamentary reply to Pua last month, Najib said there was no cash redeemed from the Caymans' investment, but whatever was in BSI Bank was in the form of assets. Pua said today this so-called misunderstanding was completely unbelievable and instead questioned if Arul was that incompetent to make a mistake between US$1.1 billion in cash as opposed to assets or “units” of indeterminate value. The Petaling Jaya MP also asked why, if there was indeed a misunderstanding in the response given to MoF which was widely reported, the president did not correct the mistake immediately.